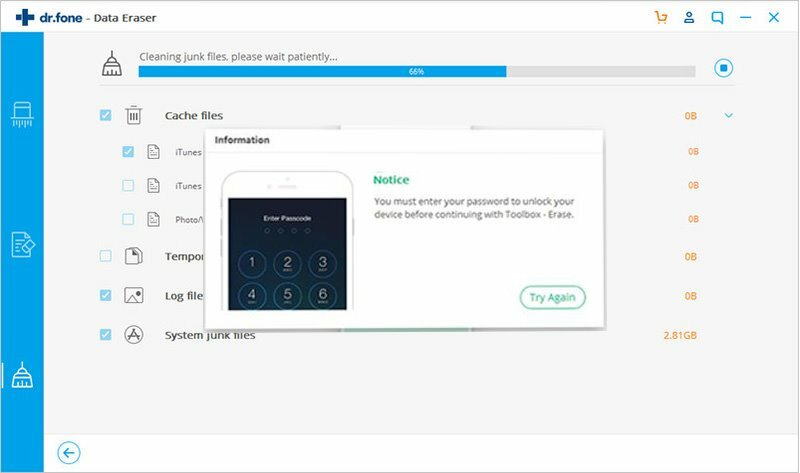 Your iPhone/iPad or iPod may perform slower when there’re more and more junk files generated leading to less storage space on the devices. 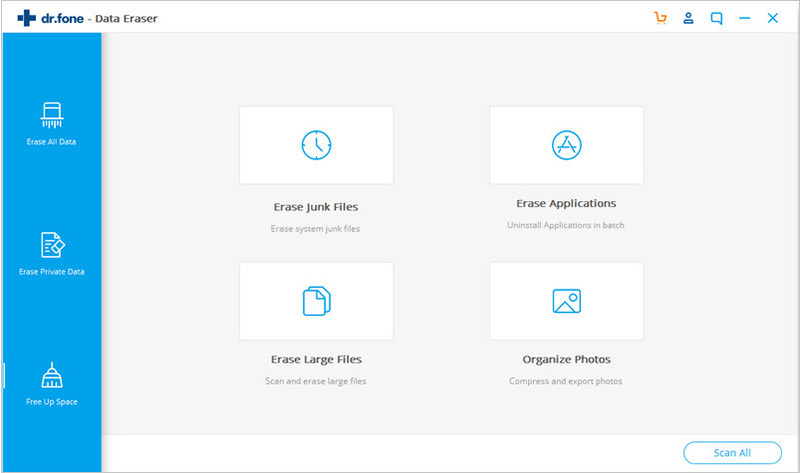 The iSkysoft Toolbox-iOS Optimizer comes with powerful and efficient functionality to help you delete all sorts of junk files to speed up your iPhone, iPad or iPod efficiently and safely. 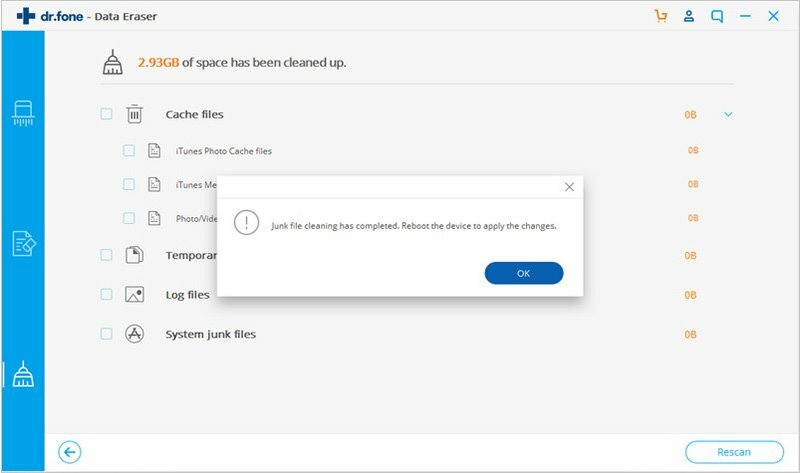 In this tutorial, we present some step-by-step guides on how to remove the useless files and free up the storage space on iPhone/iPad or iPod. First of all, have your iPhone/iPad or iPod device connected with the PC via a lightening cable. 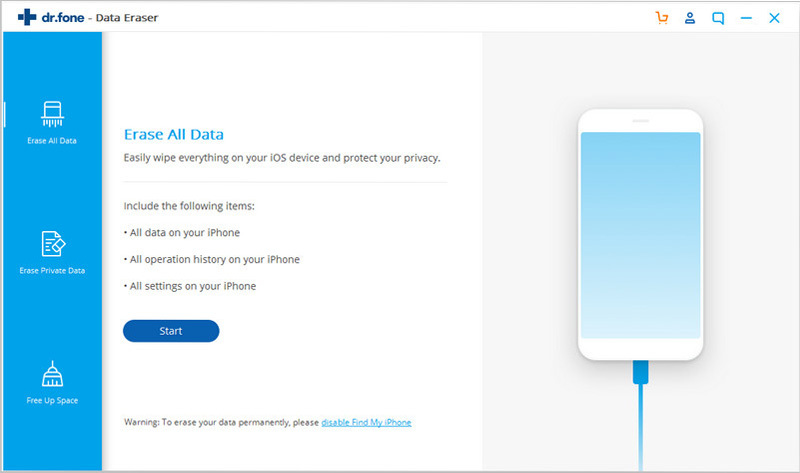 Then please download and install the iSkysoft Toolbox on your computer, along with tap on “Erase” on the main window below. Next, you the iSkysoft Toolbox will present you a total of six cleanup options to speed up your iOS devices. Select the types of files you don’t need and then tap on “Start Scan”. The program will begin to scan the junk files you just selected. If you want to terminate the scan process, just tap on “Stop” button on the screen. 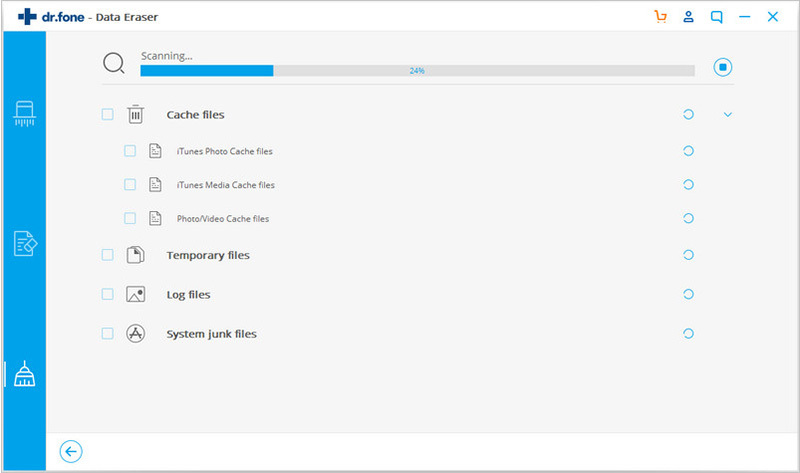 After the scanning is done, you are able to view what kinds of junk files are stored on your iOS device. 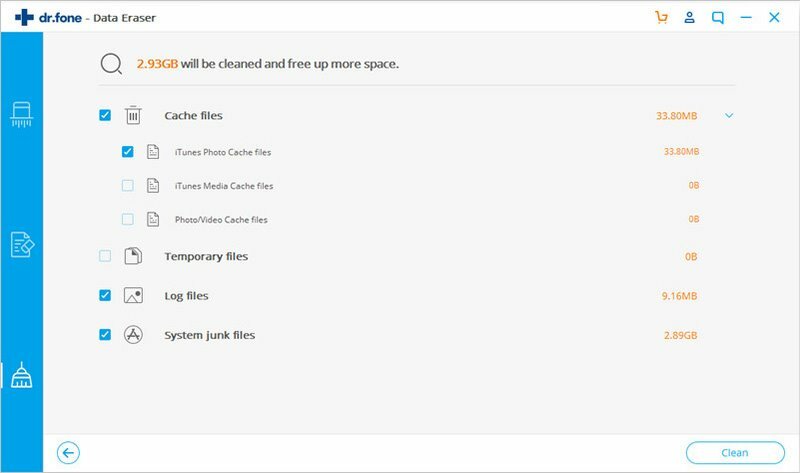 Here you can tick all or part of useless caches and files and then tap on “Cleanup” to start the deletion process. 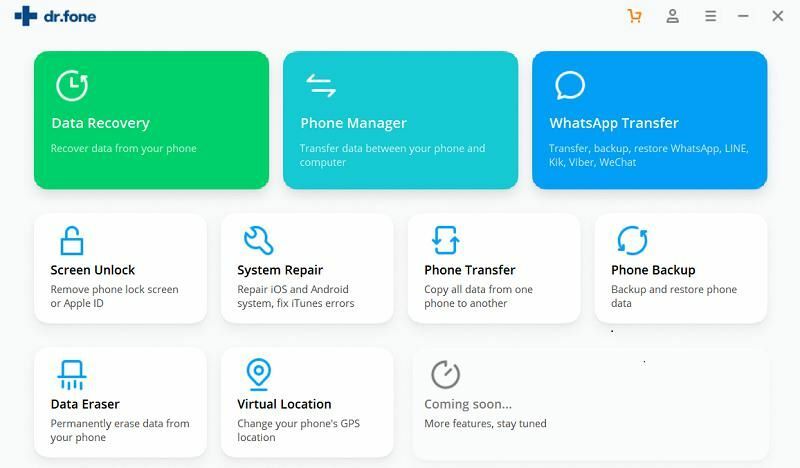 The program will begin to delete all sorts of useless files such as log files, cached files, unused apps, junk system files, cookies, temp files and more. During the cleanup process, if your device is rebooted, please just enter your password to unlock the device. After the cleanup is done, your iPhone/iPad or iPod will perform better with an improved performance experience.